Have you had a chance to try something new or explore a new-to-you area of Los Angeles this summer? Summertime offers some special multicultural events for Angelenos. There’s still time to take advantage! Some exciting Norwegian film news! 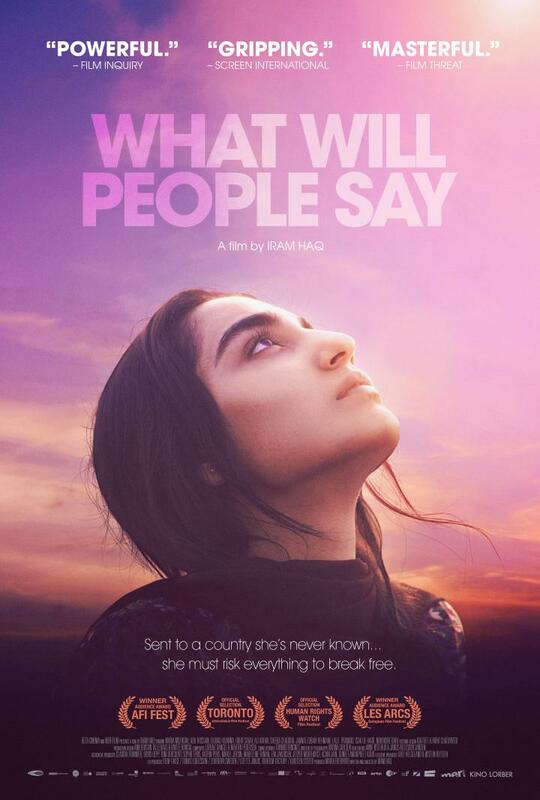 What Will People Say by Norwegian-Pakistani filmmaker Iram Haq opens today in Los Angeles. I saw this movie at AFI Fest this past fall and loved it. 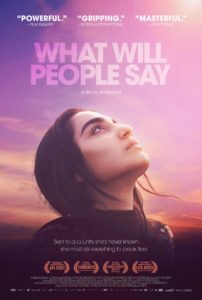 It’s a very powerful film about a first generation Norwegian teenager born of Pakistani immigrants in Oslo. The movie is about family, culture clash, honor, and shame. There were many gasp-out-loud moments in this film. It’s a thought-provoking and heart-breaking movie. I highly recommend it. It opened my eyes to a world very foreign to me, a world that could theoretically be right next to me without me knowing it. Read my full review here. It is playing at Laemmle Music Hall in Beverly Hills and Laemmle Playhouse 7 in Pasadena. Visit Laemmle’s website to see showtimes. Don’t miss it! 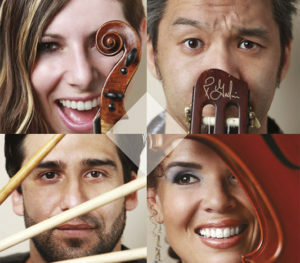 Big World Fun: Quattrosound , Ford Amphitheatre, Hollywood, Saturday, 8/4, 10:00 a.m. Hailing from Japan, Mexico, Guatemala, and the U.S., acoustic ensemble Quattrosound skillfully blends personal music influences with classical and jazz on violin, cello, guitar, percussion instruments and creative vocal arrangements. Perfect for children ages 4 to 12 and their families. Kids are admitted free; adults pay $5. Open seating, advanced reservations recommended. Pre-show craft activities start at 9:00 a.m. Families can also explore Los Angeles’ native wild animals along the Ford’s entryway gardens. Undiscovered Chinatown Walking Tour , Downtown LA, Saturday, 8/4, 10:30 a.m. – 1:00 p.m. Visit a temple, an herbal shop, art galleries, antique stores, and more when guided to the unique treasures — not to mention great bargains — to be found in Chinatown. Wear comfortable walking shoes and be prepared to wind your way through a myriad of alleyways, plaza stalls, and classical courtyards to discover the charm of L.A.’s Chinatown. Family Amphitheater Performances: Delta Nove Featuring Lonnie Marshall, Skirball Cultural Center, Los Angeles, Saturday, 8/4, 12:00 p.m. & 2:00 p.m. Get up and groove with the world funk sounds of Delta Nove and the “RUBBABoX” instruments of special guest performer Lonnie Marshall. Performance is included with museum admission, no reservations. 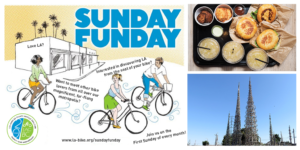 LACBC’s Sunday Funday: South LA, Sunday, 8/5, 9:30 a.m. – 1:00 p.m. Join LACBC as they explore South LA and ride to the Watts Towers. They’ll visit some historic landmarks and neighborhood gems and quench their thirst and refuel their tanks at Roi Choi’s famous spot, LoCoL. This ride is a no-drop ride (no rider left behind) with LACBC Ride Marshals. Riders should be able to keep a 10-12 MPH pace. Click here for more details and the RSVP. Mexico: Teotihuacan Clay Bird Vessels (Barnsdall Arts Sunday), Junior Arts Center at Barnsdall Art Park, Hollywood/Los Feliz, Sunday, 8/5, 10:00 a.m. – 12:00 p.m. Every Sunday art instructors present a free art project featuring a different culture and media. All materials are provided. See website for more details. 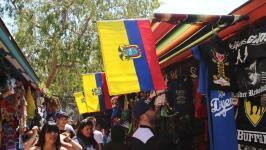 Ecuador Independence Day Parade and Festival, El Pueblo de Los Angeles Historical Monument, Downtown LA, Sunday, 8/5, 11:00 a.m. – 6:00 p.m. The Ecuadorian community of Los Angeles invites you to celebrate the independence of their homeland with a parade, traditional music, lively dancing, and tasty cuisine from this beautiful South American country. Activities take place in the historic Los Angeles Plaza, adjacent to Olvera Street. Free admission. Andell Family Sundays: Printmaking in Italy, Los Angeles County Museum of Art, Los Angeles, Sunday, 8/5, 12:30 p.m. – 3:30 p.m. Make, look, and talk about art at Andell Family Sundays! Drop in anytime between 12:30 and 3:30 p.m. This weekly family event features artist-led workshops and friendly gallery tours and activities thematically based on special exhibitions and LACMA’s permanent collection. This month, explore the printmaking boom during the Italian Renaissance in the exhibition The Chiaroscuro Woodcut in Renaissance Italy and learn simple printmaking techniques in artist-led workshops. Family Jam: Exploring Temple Traditions with Taiwan Academy, Fowler Museum at UCLA, Westwood, Sunday, 8/5, 2:00 p.m. – 4:00 p.m. Taiwanese temple festivals feature colorful parades and captivating performances that symbolize Taiwan’s cultural heritage. Families are invited to learn about these celebrations through hands-on painting activities, an introductory dance workshop, and a live performance provided by the Rowland Heights-based STC Foundation, dedicated to Asian arts and culture. 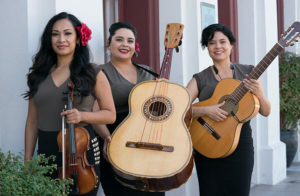 Family Amphitheater Performances: La Victoria, Skirball Cultural Center, Los Angeles, Saturday, 8/11, 12:00 p.m. & 2:00 p.m. Building upon strong foundations in Mexican folk music plus their everyday experiences as Chicanas living in LA, this female mariachi trio performs a sound that reflects their city. Playing both contemporary songs and folk standards, the trio takes audiences on an emotional and uplifting musical journey. In each song, Rodriguez’s violin drives the melodies, Calderón’s guitarrón provides the heartbeat, and Alfaro’s percussive and graceful guitar unifies. Performance is included with museum admission, no reservations. 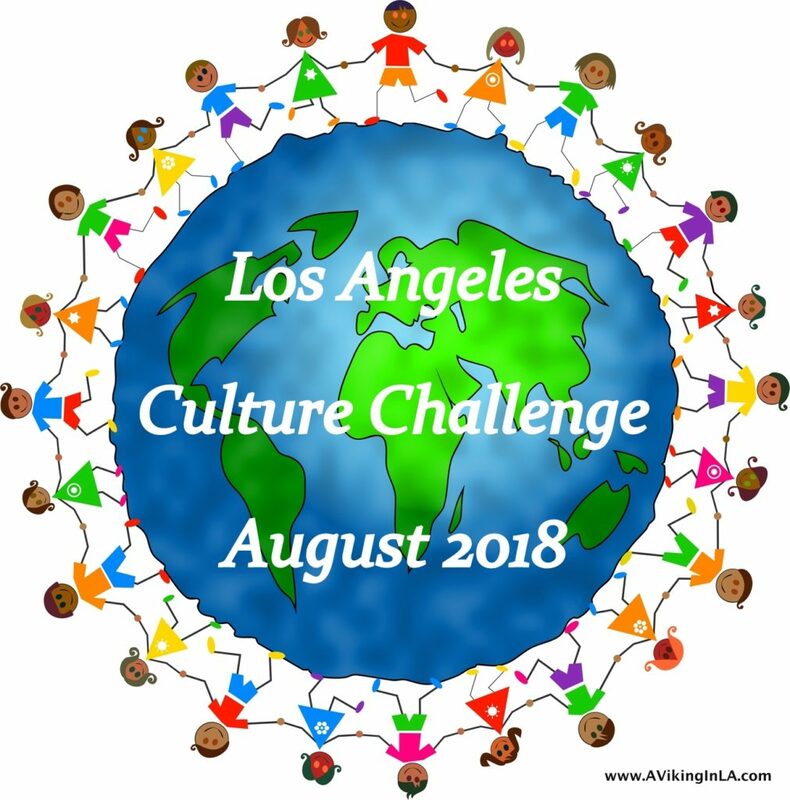 France: Niki de Saint Phalle – Sculpture (Barnsdall Arts Sunday), Junior Arts Center at Barnsdall Art Park, Hollywood/Los Feliz, Sunday, 8/12, 10:00 a.m. – 12:00 p.m. Every Sunday art instructors present a free art project featuring a different culture and media. All materials are provided. See website for more details. 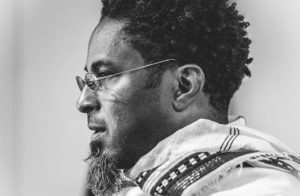 Family Amphitheater Performances: Dexter Story Presents Tezeta West, Skirball Cultural Center, Los Angeles, Sunday, 8/12, 12:00 p.m. & 2:00 p.m. Join composer, songwriter, arranger, producer, and multi-instrumentalist Dexter Story on a journey through Near Eastern and African music. Informed by his current ethnographic research at UCLA, Story has assembled a first-rate group of Armenian and Ethiopian musicians to explore the theme of nostalgia, also known as tezeta in Ethiopia’s national language Amharic. For this riveting performance, the musicians will celebrate the poignant and historic relationship between these two ancient cultures. Their repertoire includes both compositions and improvisational works that explore loss, displacement, migration, community, reclamation, dignity, and release. Performance is included with museum admission, no reservations. Andell Family Sundays: Printmaking in Italy, Los Angeles County Museum of Art, Sunday, 8/12, 12:30 p.m. – 3:30 p.m. Make, look, and talk about art at Andell Family Sundays! Drop in anytime between 12:30 and 3:30 pm. This weekly family event features artist-led workshops and friendly gallery tours and activities thematically based on special exhibitions and LACMA’s permanent collection. This month, explore the printmaking boom during the Italian Renaissance in the exhibition The Chiaroscuro Woodcut in Renaissance Italy and learn simple printmaking techniques in artist-led workshops. 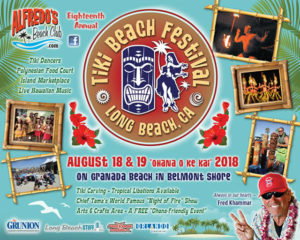 Tiki Beach Festival “Ohana O Ke Kai” , Granada Beach in Belmont Shore, Long Beach, Saturday, 8/18, & Sunday, 8/19. Event highlights include Island Market Place & Cultural Center, traditional arts & crafts including tiki carving, Taste of Aloha food court, renowned masters of Island music & dance, “Night of Fire” torch lighting, fire knife dance, fire walk and Island music, kids’ zone and play areas, canoe rides and other activities, Sunday morning hula praise & worship service. Visit website for entertainment line-up. 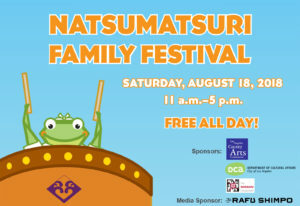 Natsumatsuri Family Festival , Japanese American National Museum, Little Tokyo, Downtown LA, Saturday, 8/18, 11:00 a.m. – 5:00 p.m. Join JANM for their annual summer celebration featuring Japanese and Japanese American performances, crafts, and activities. There all day activities and scheduled events. See website for details. Ancient Egypt: Sarcophagus – Painting (Barnsdall Arts Sunday), Junior Arts Center at Barnsdall Art Park, Hollywood/Los Feliz, Sunday, 8/19, 10:00 a.m. – 12:00 p.m. Every Sunday art instructors present a free art project featuring a different culture and media. All materials are provided. See website for more details. 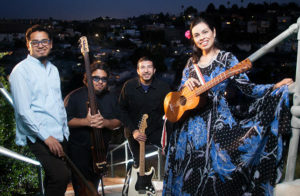 Family Amphitheater Performances: Los Cambalache, Skirball Cultural Center, Los Angeles, Sunday, 8/19, 12:00 p.m. & 2:00 p.m. Los Cambalache, named after the Spanish word that means “exchange,” is an East LA–based group of musicians who play son jarocho—a style of music from Veracruz, Mexico, shaped by indigenous, Spanish, and African cultures. In the spirit of the fandango, a traditional celebration of music and dance, dance along to this vibrant music! Andell Family Sundays: Printmaking in Italy, Los Angeles County Museum of Art, Sunday, 8/19, 12:30 p.m. – 3:30 p.m. Make, look, and talk about art at Andell Family Sundays! Drop in anytime between 12:30 and 3:30 pm. This weekly family event features artist-led workshops and friendly gallery tours and activities thematically based on special exhibitions and LACMA’s permanent collection. This month, explore the printmaking boom during the Italian Renaissance in the exhibition The Chiaroscuro Woodcut in Renaissance Italy and learn simple printmaking techniques in artist-led workshops. 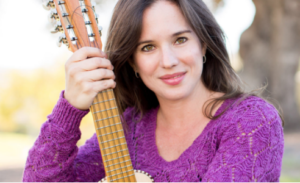 Family Jam: Making Music with Nathalia / Tocando Música con Nathalia, Fowler Museum at UCLA, Westwood, Sunday, 8/19, 1:00 – 4:00 p.m. Join us for an afternoon of instrument making and live music celebrating the Fowler’s diverse collections. Create your very own maracas and drums while listening to bilingual songs performed in Spanish and English by LA-based musician Nathalia. Drop-in instrument making from 1–4pm. Concert starts at 2pm. 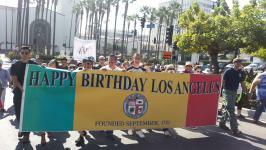 Los Angeles’ Birthday Celebration , El Pueblo de Los Angeles Historical Monument, Downtown LA, Saturday, 8/25, 6:00 a.m – 1:00 p.m. Celebrate the 237th anniversary of the founding of Los Angeles with Los Pobladores historic reenactments, a civic ceremony, artisan demonstrations, live entertainment, and free birthday cake! Bike or walk to El Pueblo from San Gabriel Mission following the historic nine-mile route of our first settlers. El Pueblo Historical Monument is also proud to present a classic collection of vintage automobiles, low riders, and first-rate motorcycles on display in and around the historic plaza. 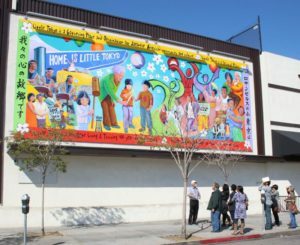 Little Tokyo Walking Tour, Japanese American National Museum, Little Tokyo, Downtown LA, Saturday, 8/25, 10:15 a.m. – 12:15 p.m. Relive history and learn about present-day Little Tokyo with JANM docents. Comfortable walking shoes are recommended. Weather permitting. Buy tickets in advance. Cost is $12 members, $15 non-members. Museum admission is included. Limited to 20 participants. Buy tickets here. Undiscovered Chinatown Highlighted Walking Tour, Downtown LA, Saturday, 8/25, 3:00 p.m. – 4:30 p.m. This highlighted walking tour is held in conjunction with the Chinatown Summer Nights event starting at 5 o’clock. Visit a temple, an herbal shop, art galleries, antique stores, and more! The 1 1/2 hour walking tour takes visitors to a number of off-the-beaten-track points of interest and will guide those interested in shopping to some of Chinatown’s best bargains and its trendiest shops. Wear comfortable walking shoes and be prepared to wind your way through a myriad of alleyways, plaza stalls, and classical courtyards to discover the charm of L.A’s Chinatown. For those interested, please rsvp online here. Chinatown Summer Nights, Downtown LA, Saturday, 8/25, 5:00 p.m. – 12:00 a.m. This is the last Summer Nights event of the summer. 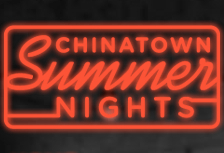 Part food event, part summer party, Chinatown Summer Nights presents an exciting hot spot for Angelenos this summer. Taste the many culinary offerings of Chinatown and LA’s gourmet food trucks; sample the neighborhood’s wares; watch Chinese chefs perform cooking demonstrations; experience large-scale, outdoor video projections; take part in hands-on, Chinese cultural activities presented by local organizations and museums; sip on craft brews and dance in Central Plaza with 89.9 KCRW’s DJs. Great Britain: Land Art Goldsworthy – Stone Painting (Barnsdall Art Sunday), Junior Arts Center at Barnsdall Art Park, Hollywood/Los Feliz, Sunday, 8/26, 10:00 a.m. – 12:00 p.m. Every Sunday art instructors present a free art project featuring a different culture and media. All materials are provided. See website for more details. Andell Family Sundays: Printmaking in Italy, Los Angeles County Museum of Art, Sunday, 8/26, 12:30 p.m. – 3:30 p.m. Make, look, and talk about art at Andell Family Sundays! Drop in anytime between 12:30 and 3:30 pm. This weekly family event features artist-led workshops and friendly gallery tours and activities thematically based on special exhibitions and LACMA’s permanent collection. This month, explore the printmaking boom during the Italian Renaissance in the exhibition The Chiaroscuro Woodcut in Renaissance Italy and learn simple printmaking techniques in artist-led workshops. Feel free to add events for this month in the comments below. I also welcome feedback on any events you have attended. If you have tips on future events and celebrations to include in upcoming months, please email me here with details. Thank you! This entry was posted in Culture Challenges, Los Angeles & Environs and tagged #ownvoices, film, Iram Haq by Patricia Zanuck. Bookmark the permalink.